You are able to shop for cheap toner which are developed to be compatible with Brother HL-1030 laser printers from the leading web-based supplier, Cartridge Save. Get replacement toner cartridges here at Cartridge Save and rid yourself of looking online shops to eventually get cartridges that work in the Brother HL1030 printer. Save money today with Cartridge Save. You have complete customer satisfaction by ordering Brother HL-1030 toner cartridges here thanks to our no quibbles thirty day money back policy. In addition, everything for sale comes with 100% free delivery, normally arriving following working day! Appropriate for busy offices with above-average printing needs, the Brother HL-1030 is an entry-level monochrome laser printer with a maximum print resolution of 600 x 600 dpi. It boasts efficiency and savings. The Brother HL-1030 laser printer has a status monitor and offers a quick print setup. The printing costs are low, but the Brother HL1030 does not have automatic duplexing and lacks standard connectivity options. Print speed is also slow. This box-like printer has a paper tray at the bottom and an output tray on top. The HL-1030 has a print speed of 10 ppm, so the first page comes out in 15 seconds or less. The input tray can handle 250 sheets at a time while the output tray can handle 150 sheets. The Brother HL-1030 printer weighs 20.3 lbs and has dimensions of 360 x 370 x 235 mm. For connectivity, a parallel port as well as optional Ethernet is available. The Brother HL 1030 mono laser printer delivers good quality output, from greyscale graphics to black and white text documents. Running costs are low, thanks to the high-yield toner and drum plus the eco-save or toner save mode. The Brother HL-1030 works on both Mac and Windows PC's. 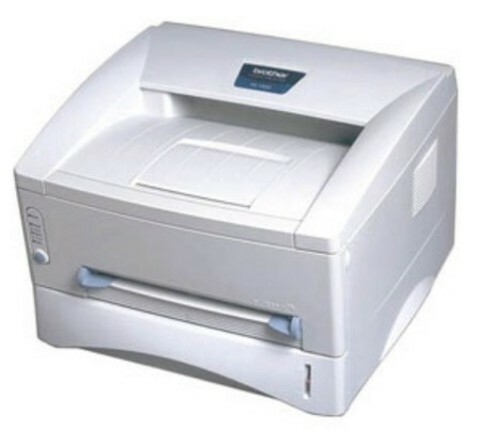 The HL1030 laser printer only has manual duplexing and optional networking connectivity options. The Brother HL-1030 also has moderate printing speeds when compared to more modern laser printers and does not offer expandable paper handling capacity either.